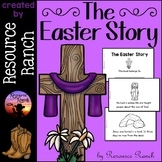 This is a colourful PowerPoint retelling The Easter Story. 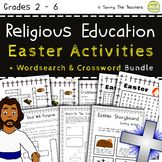 It is suitable for Early Years and SEN pupils. 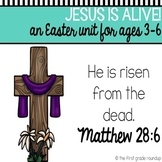 The language used is basic for younger pupils to understand. The text on the slides are editable. 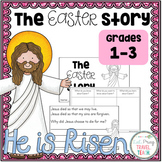 This sheet can be used to document the children's knowledge of the Easter story. 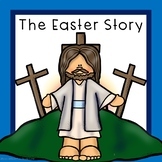 The children draw each main part from the story and the teacher scribes (for the early years) on the lines provided. 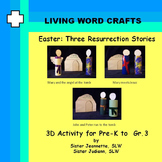 Older children can write their own retell under each picture. 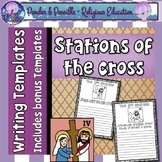 This foldable tells about Jesus' last days on earth. 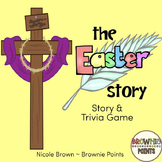 Students will colour the graphics, put them in order, and write sentences below the flaps to retell the events. 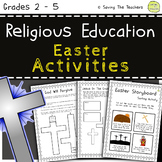 This is a great little collection of activities to use with lower year children for Easter. 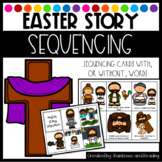 There is one sequencing activity, a retell activity and a reflection activity. 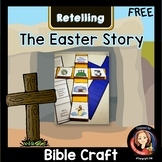 The sequencing and retelling activities come with American and Australian spelling. This will be a forever FREEBIE. 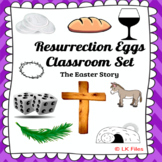 These 12 response sheets will help as you go through your resurrection eggs. 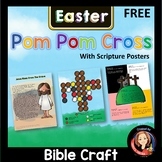 They will help students reflect and remember the symbols used to retell the Easter story.